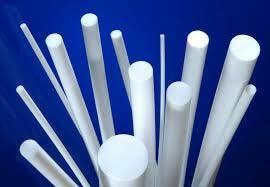 PTFE Molded Rods are designed with the process of moulding. These are plastic rods that are moulded in a way that provides the best service. These plastics rods are resistant to moisture and all other external disturbances that may harm the inner materials that can be damaged. We manufacture, supply and export these rods in variant sizes and thickness as per customers requirements.